Disneyland's popular Jedi Training Academy show has been a fixture of Tomorrowland for the past 12 years, but last week cast members received an end-of-run notice informing them that the last performance of Jedi Training: Trials of the Temple will be Saturday, November 3, 2018. A spokesperson for Disneyland confirmed the cancellation, telling MousePlanet, "At the Disneyland Resort, we continually refine and adjust our creative entertainment offerings while still preserving the Guest experience." The spokesperson said that Star Wars remains a huge focus for the Resort, and the company is looking forward to the opening of Star Wars: Galaxy's Edge next summer. 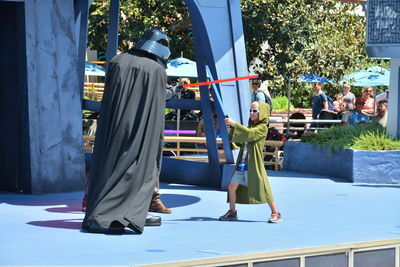 Disneyland's "Jedi Training: Trials of the Temple" end its 12-year run in November. MousePlanet file photo. At this time, Disney has announced no plans to present a new or updated version of Jedi Training Academy within Star Wars: Galaxy's Edge. The Walt Disney World version of the show is not affected by this notice. If you're planning a trip to visit the show during the final month, be sure to preregister your potential Padawan for a show as soon as the park opens. Look for the kiosk at the exit of the Star Wars Launch Bay in Tomorrowland. Children must be between the ages of 4 and 12, and preregistration is first-come, first-serve, while space remains. You must have your child with you to pre-egister—no registering for a child who is "coming later." Once you register, cast members will tell you when and where to return for the show. Southern California Select annual passholders can circle Monday, September 3, 2019 on their calendars and request time off from work now. That appears to be the first day holders of Disney's most-restricted pass can visit Disneyland to get a look at Star Wars: Galaxy's Edge without buying separate one-day admission, according to new AP blockout calendars released this weekend. 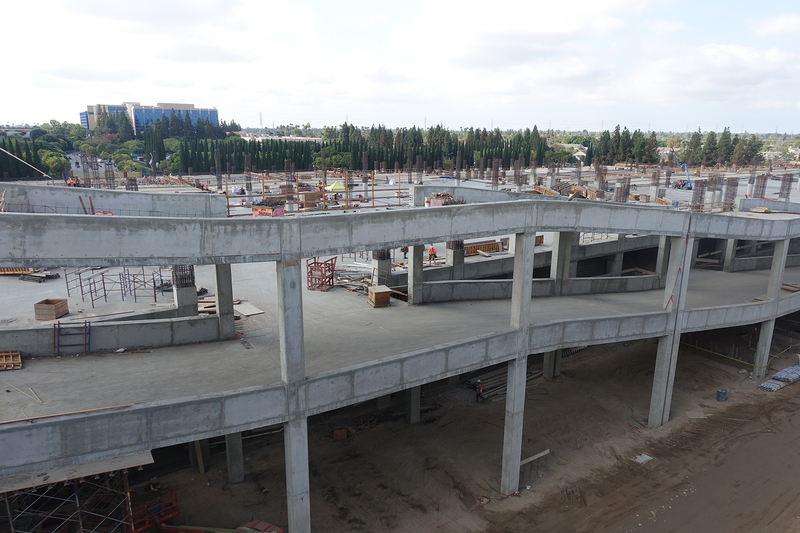 Passholders with the Southern California pass can get into the park a few days earlier, as their pass is valid August 26–29, 2019 before a Labor Day blockout. That pass is again valid starting September 3, and everyday except Saturdays for the rest of the month. In June, the Disneyland Resort introduced park-specific blockout calendars for the annual passport program. Under the new calendars, Disneyland park and Disney California Adventure park have separate schedules of blockout dates, and there are days, weeks, and even months where some passholders can visit Disney California Adventure, but are blocked out from visiting Disneyland. This new blockout schedule applies to all Disneyland Resort annual passports purchased, renewed, or activated on or after June 2, 2018. There are still no changes to the blockout dates for Signature or Signature Plus annual passports, which retain park hopper access on all days those passes are otherwise valid. Disney usually publishes the blockout calendar on a rolling 12-month basis; expect to see the October 2019 calendar around the end of this month. 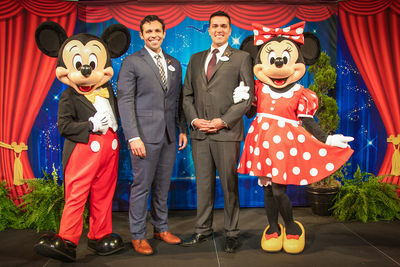 Last week, Disneyland Resort President Josh D’Amaro named Tomorrowland attractions lead Rafa Barron and Disney performer Justin Rapp as the 2019–2020 Disneyland Resort Ambassador Team. The two are the first all-male Ambassador duo to represent the Disneyland Resort, and will serve during the grand opening of Star Wars: Galaxy's Edge. Justin Rapp and Rafa Barron are the 2019–2020 Disneyland Resort Ambassador team. Photo © Disney. Disney says Rapp began his Disney career in 2012 as a Jungle Cruise Skipper, and later joined the Entertainment department as a performer. Barron is an attractions lead, area trainer, and orientation trainer. The Ambassador program dates back to 1965, when Walt Disney selected guest relations hostess Julie Reihm to serve as the Disneyland Ambassador to the World during the park's 10th anniversary. Reihm helped handle interview and public appearance requests, traveled to five continents to represent Walt Disney and Disneyland, and served as VIP host for luminaries who visited Disneyland during the anniversary celebration. The position proved so valuable that an Ambassador or Ambassador team has represented Disneyland ever since. Walt Disney World and the international Disney resorts also all have Ambassador programs. For the first three decades of the program, the Disneyland Ambassador, sometimes referred to as the "traveling ambassador" or "Disneyland Hostess," was a female cast member, often selected from the ranks of guest relations hostesses. The first Ambassador team, including the first male Disneyland Ambassador, was selected in 1995. 2002 Ambassador Matt Ebeling was the first solo male Ambassador chosen worldwide. Following a two-month training period, the new Ambassador teams begins 2019 with a schedule packed with local, national, and international events. The Ambassadors works closely with the manager of the Ambassador program, who schedules appearances and commitments. Typical duties include hospital visits and parade appearances with the Disney characters, and participating in community outreach events and academic incentive programs. ...Your next Disney snack will cost more, thanks to resort-wide price increases that took effect last week. The jump hit everything from churros to Dole Whip. ...The refurbishment of Walt Disney's Enchanted Tiki Room has been extended through Monday. ...Disney has filed permits for the installation of the annual Candlelight Procession stage, giving the event dates as December 1 and 2. ...An extended 3-D preview of The Nutcracker and the Four Realms is now showing at the Sunset Showcase Theater in Disney California Adventure. Actress Mackenzie Foy, who stars as Clara in the film, attended the kick-off of the preview on Thursday. 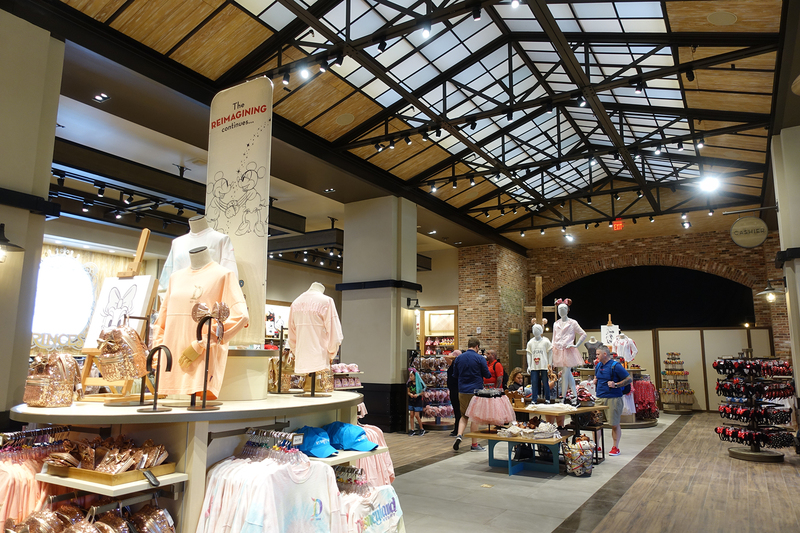 ...The World of Disney store debuted a new sign last week, as the east half of the store reopened following a lengthy remodel. The central portion of the store is still closed, and the grand opening for the completed store is scheduled for October 19. 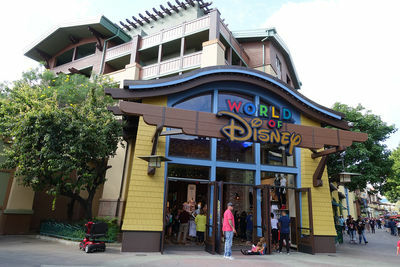 The new World of Disney sign is displayed above the store in Downtown Disney. Photo by Adrienne Vincent-Phoenix. Another section of the refurbished World of Disney store is open, but the whole complex does not debut until October 19. Photo by Adrienne Vincent-Phoenix. 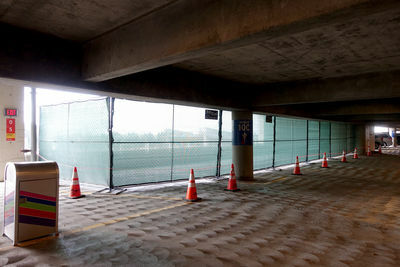 ...Disney has filed a placeholder permit regarding a pedestrian bridge from the new parking structure. No details were provided in the record, which refers to a pending encroachment license agreement. The Cleo parking structure, as seen from the Mickey and Friends structure. Photo by Adrienne Vincent-Phoenix. A portion of each floor of the Mickey and Friends structure is closed off at the location where the two structures will join. Photo by Adrienne Vincent-Phoenix. Walt Disney's Enchanted Tiki Room – closed for refurbishment through October 8. Matterhorn Bobsleds – closed for refurbishment through November 16. Mark Twain Riverboat – closes November 12 for refurbishment. Wetzel's Pretzels – closed for refurbishment. Reopens November 2. Napolini – closed for refurbishment. Originally scheduled to reopen October 16, now after November 19. Moonlight Magic after-hours event for Disney Vacation Club members – Thursday, November 15. The event is sold out.